A man accused of murdering his de facto partner, Rajeshni Deo Sharma said in his caution interview that they had a nice and cordial relationship. Former pilot Imshad Israr Ali, 38, is charged with one count of murder and is al­leged to have murdered Ms Sharma, 34, on November 1, 2009, at their Samabula home. Interviewing officer Detective Abhay Nand gave evidence in the High Court yesterday and read out Ali’s caution interview. He said the accused had seen an article in the newspaper regarding the kindergarten where Ms Sharma worked and the article had her picture. The accused said after he saw the article he called Ms Sharma and he drove to Suva for them to meet. He stated that he worked as an Air Fiji Pilot for two years and stopped working in 2007 after which he moved to Ba to live with his parents. Ali said when he met Ms Sharma she was a divorcee. The pair moved in together in August 2008 and Ms Sharma was paying the rent because the accused was unemployed at the time. He said in October 2009 he visited Ms Shar­ma’s family during Diwali night. 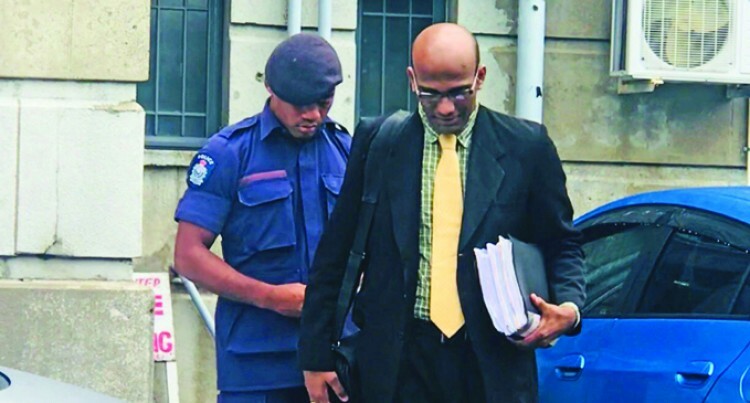 Ali’s lawyer Abhay Singh put it to Detec­tive Nand that the accused was threatened while he was in custody that if he did not confess to the murder he would be killed and his body would be disposed of at Colo-i-Suva because at the time there was no con­stitution in place. Mr Nand disagreed saying that was not right. Mr Singh said because of a fear of being assaulted by the Police the accused started making up stories about the murder to avoid further assault. Mr Nand said the answers in the accused’s caution interview were his own and Ali was not subjected to threats or assault. Mr Singh said in his caution interview the accused had made up stories about pushing Ms Sharma which caused her to fall. He also made up stories that they had an argument about buying kerosene. The trial continues before Justice Vinsent Perera today. The accused is currently on remand. Meli Vosawale of the Office of the Director of Public Prosecutions (ODPP) is prosecut­ing the case.